Entenmann makes 16 saves and Gray scores four goals for the Flyers (4-0). James Ball and Kevin Kuttin each have two goals. For those who see Liam Entenmann only on game day, the senior goalie's performance Wednesday seemed remarkable. 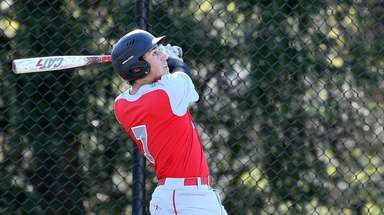 For Chaminade midfielder Reilly Gray, it was just another day on the field. 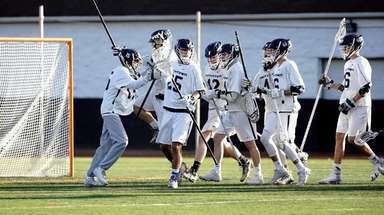 After St. Anthony's scored three of the game's first four goals, Entenmann was determined to prove why he’s considered not only one of the best lacrosse goalies on Long Island, but in the country. 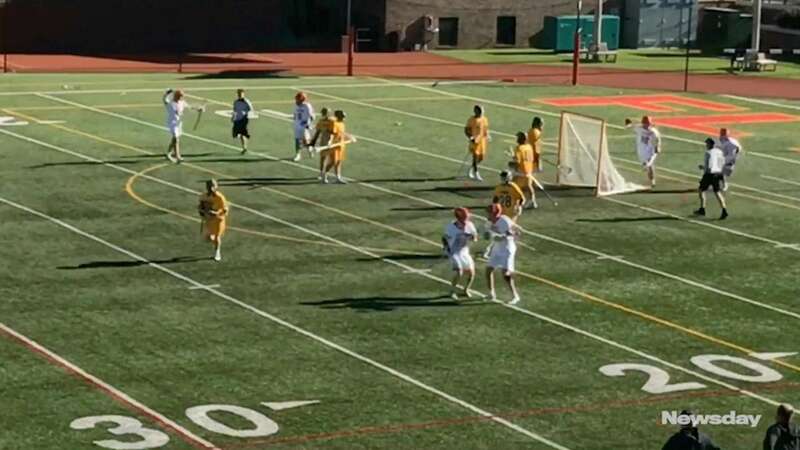 After a timeout he constantly frustrated the Friars, totaling 16 saves as host Chaminade defeated St. Anthony’s, 13-7, in a CHSAA matchup of nationally ranked teams. But the goalie wasn’t ready to take the credit for himself. 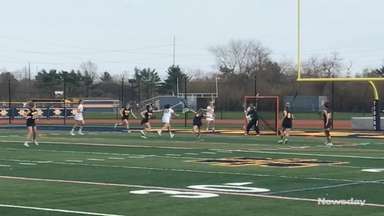 Gray, who had four goals, started the Flyers’ attack, scoring three in the first quarter. 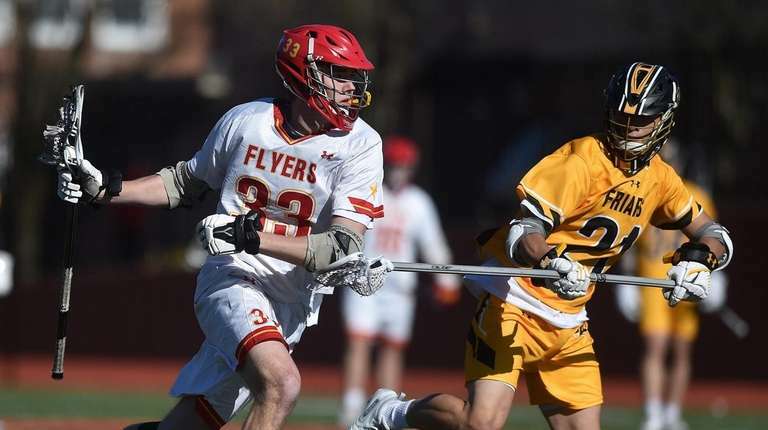 James Ball and Kevin Kuttin each added two goals as the defending CHSAA Class AA champions improved to 4-0 overall. St. Anthony’s falls to 5-1. 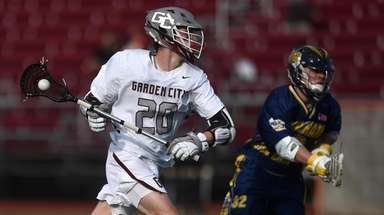 Entenmann was at the forefront of nearly every key moment, leaving coach Jack Moran saying the goalie played “unconscious.” As a scorer, Gray knows how frustrating that can be. 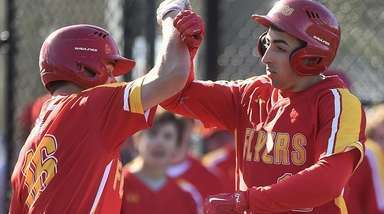 With Chaminade and St. Anthony’s already slated to play for a state championship May 15 as the only teams in the CHSAA ‘AAA’ classification, Wednesday’s game was an appetizer for what waits.